The European Union (EU) and the United Nations Development Programme (UNDP) are two global institutions which share a common vision towards the virtues of democratic governance. Moreover, both institutions recognize the value of electoral assistance in supporting the long-term, sustainable establishment and development of democratic institutions world-wide. For its part, the EU is one of the main donors in the field of electoral support. The European Union’s support to elections takes the form of electoral assistance projects, implemented by the European Commission and EU election observation missions carried out by the European External Action Service (EEAS). These are independent but complementary activities, implemented through different financial instruments. EU support for human rights, democracy and the rule of law is established in the Treaties. Article 6 of the Treaty on European Union (TEU) clearly states that the principles of liberty, democracy, respect for human rights, and the rule of law are fundamental European values. The “Communication from the Commission on EU Election Assistance and Observation” (2000) defines the importance of EU electoral support and the complementarity of electoral assistance and electoral observation. Since 2007 the European Commission has funded electoral assistance programs of more than 500 million euros in some 70 countries. EU support to democracy and electoral support has evolved in the past few years, encompassing new instruments, a more nuanced approach to the complexities of democratic systems, and a greater emphasis on country specific approaches. Election observation is a crucial EU activity aiming to strengthen democratic institutions, build public confidence in electoral processes, help to deter fraud, intimidation and violence. The EU promotes a strong link between election observation and electoral assistance, through follow-up on EOM recommendations, aiming to improve future elections, strengthen democratic institutions and enhance the wider process of democratization. The implementation of EOM recommendations has both a technical and political dimension, addressing the electoral process and its wider framework. EU actions between elections are carried out in a coherent and coordinated manner on a long-term basis. As one of the world’s largest multilateral development agencies, present in over 170 countries and territories, UNDP strives toward democratic governance and peacebuilding by helping governance institutions in countries bring constitutional reforms and organize credible elections through reconciliation, empowerment and inclusion. Under the auspices of the Global Project for Electoral Cycle Support (GPECS), UNDP has distinguished itself by its ability to be “first on the ground” by using a rapid response and a fast-track mechanism to request and provide technical assistance to member states. One of the most successful feature of UNDP lies in that its electoral assistance experts are able to provide in-depth expertise to governments and Electoral Management Bodies (EMBs) in view to design of appropriate electoral policy, legal and regulatory frameworks and organize free, fair and transparent elections. As such, the European Commission (EC) and UNDP are natural partners in the field of electoral assistance. Electoral assistance projects constitute one of the largest area of EC-UNDP programmatic cooperation on the ground, with partnership on over 100 electoral assistance projects since 2006. In 2006, the EC and UNDP strengthened and formalized their de facto partnership in the field of international electoral assistance with the signature of the Electoral Assistance Guidelines. The Guidelines were renewed in 2008 and most recently in April 2016, when they were officially endorsed and signed by the UNDP Administrator Helen Clark and the Commissioner Neven Mimica (see video of the event). The Guidelines establish the Joint Task Force on Electoral Assistance (see below for details) and set parameters for cooperation between the two organizations on issues such as project formulation, recruitment, visibility and operational support to the ongoing projects and troubleshooting. The programmatic cooperation between the EC and the UN is also facilitated by the Financial and Administrative Framework Agreement that was agreed in 2003 and updated most recently in 2014. Through a single shared legal, financial and administrative framework, the FAFA has made programmatic cooperation more efficient, ensuring faster start-up of activities and ensuring administrative consistency across operations. In 2004, the UNDP and the EC entered into a Strategic Partnership Agreement through the signature of a Memorandum of Understanding to set out and better define the relational focus between the two institutions. The objective of the SPA is to facilitate policy dialogue and specific collaboration at global, regional and country levels and is expected to bring harmonization and complementarity as well as financial cooperation between the two entities. The Joint Action Plan on Visibility between the EU and the UN was signed in 2006, and builds on the FAFA. The action plan emphasizes the shared commitment to communicate the results of the UN-EU partnership to beneficiaries and external stakeholders, both in the interest of transparency in the use of public funds – and as a means to foster global solidarity. An important communication tool, the Joint Visibility Guidelines for EC-UN actions in the field was adopted in April 2008 and provides practical advice to staff from both organizations who work in the field. The Guidelines established the EC-UNDP Joint Task Force on Electoral Assistance (JTF), a Brussels-based coordination mechanism that “has the aim of increasing the overall efficiency and adherence of the projects to the common EC-UNDP strategic approach”. The Joint Task Force, composed of the EU and UNDP experts, has been expanded in 2016 to include representatives from the European External Action Service (EEAS) and UN’s Department of Political Affairs/Electoral Assistance Division (DPA/EAD), as well as relevant geographical desk representatives from both organizations. The JTF provides in-depth technical and advisory support to all EC-UNDP joint electoral assistance projects world-wide, through the conduct of in-country missions as well as remote support from Brussels. JTF assists UNDP Country Offices and EU Delegations in formulation, implementation, monitoring and evaluation, as well as in drafting of the narrative and financial reporting. In line with the Guidelines and to further promote the partnership in the field, JTF establishes and maintains dedicated websites for all EC-UNDP joint electoral assistance projects, and organizes kick-off trainings for both UNDP CO and EUD staff in country at the inception of each project. The JTF is also organizing high-level conferences, workshops and trainings on election-related issues in order to share best practices and lessons learnt among election practitioners, Civic Society Organizations, academics, civilians on how to achieve inclusive, transparent and sustainable electoral systems. In parallel, the Task Force has been producing several publications and e-learnings that you can find on this website. Check out our latest publication and online course on Youth participation to elections! In addition, the JTF serves as an early warning mechanism for the partnership, maintaining close contacts with the EU Delegations, UNDP Country Offices, regional hubs and headquarters to identify any potential issues and addressing them as early and effectively as possible. 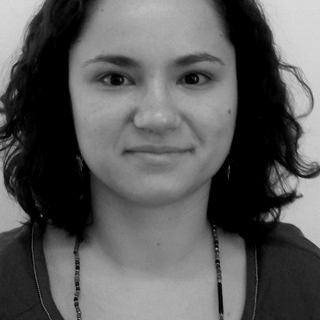 Laura Bretea is a Policy Officer within DEVCO at the European Commission. 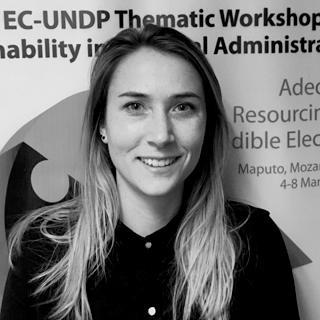 Prior to joining the European Commission, Laura has worked on electoral assistance and electoral observation in numerous countries, most recently Egypt, Afghanistan and Nigeria. 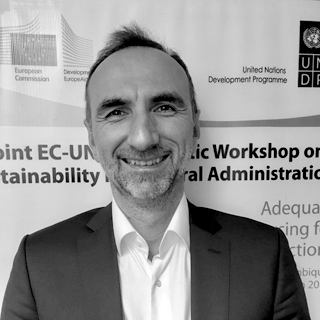 Gianpiero Catozzi is part of UNDP Bureau for Policy and Programme Support (BPPS) serving since 2013 as UNDP senior electoral advisor and coordinator of the Joint EC-UNDP Task Force on Electoral Assistance (JTF) based in UNDP Brussels liaison office. In this capacity, Gianpiero participates to needs assessment missions and advises UNDP country offices on electoral affairs. He is in charge of electoral project formulation, the coordination and development of knowledge products, such as electoral publications, E-Learnings, global conferences and seminars. He has visited over 25 countries in this capacity. 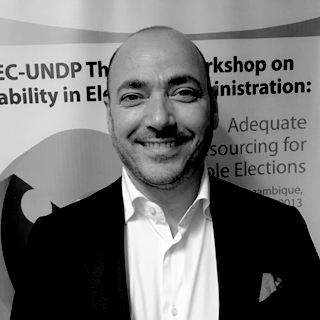 Previously Gianpiero was posted as UNDP Regional Electoral Advisor for West Africa based in UNDP regional centre in Dakar, Senegal, where he covered 23 countries of the region. In that capacity Gianpiero participated to numerous DPA-lead needs assessment missions as UNDP representative and lead numerous project formulation missions, advisory missions, follow up missions and troubleshooting missions in the entire region. He has also worked as senior electoral advisor for several international organisations such as the European Commission, the OSCE, UN mission settings (DPKO) and non-mission settings in numerous countries around the globe including as UNDP Chief Electoral Advisor (CTA) in Rwanda, Ivory Coast, Haiti and within expert missions around the globe. He has contributed to several UN publications including on the introduction of ICT in electoral processes, on participation of youth in electoral processes, on the sustainability of electoral processes and on electoral violence. Gianpiero holds a Bachelor degree in political science from the University of Sussex in the UK, a Master’s Degree in International Relations from the European Institute of the University of Sussex, UK and a post-graduate in Economics from the Solvay business school of the Université Libre de Bruxelles (ULB). He speaks fluently French, English and Italian and has an advanced working level in Spanish. Gianpiero has two children. Blandine is French and has joined the Joint Task Force in October 2016. Living in Belgium for the last two years, she has previously worked in European political advocacy groups such as the European Consumer Organisation (BEUC) and the European Environmental Bureau (EEB) as Project Coordinator, expressing concerns of the consumers and environmental NGOs at the European level. Prior to this she worked at the United Nations Economic Commission for Europe (UNECE) in the European transport, health and environment policy programmes in Geneva, Switzerland. In addition, she also worked for the United Nations Environmental Programme (UNEP) Regional Office for Europe within the multi-stakeholders Environment and Security Initiative (ENVSEC). She holds a Master’s Degree in European Studies, specializing in political science and economics, from the University of Geneva. She speaks French, English, German and Spanish. 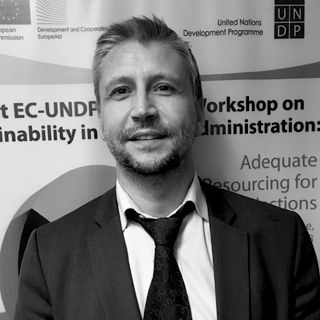 Dan Malinovich is an Electoral Assistance Specialist in the UNDP’s Bureau for Policy and Programme Support (BPPS) based in Brussels, serving as one of the two UNDP representatives on the EC-UNDP Joint Task Force on Electoral Assistance (JTF). He provides day-to-day support to the electoral projects world-wide and frequently participates in missions to assess the needs, formulate new projects and support the implementation of activities. In addition to native fluency in English and Serbo-Croatian, he speaks French and Russian. He holds a bachelor’s degree in history from Indiana University (Bloomington, Indiana, USA) and a master’s degree in international law (LL.M.) from the University of Kent-Brussels School of International Studies. Tom Millar is Team Leader for Democracy with unit DEVCO B1 – Human Rights, Gender, Democratic Governance. Before joining the unit he has worked on governance and democracy issues in EU Delegations in Nigeria, Jamaica and Uganda. As head of both political and operational sections, he has wide experience of the multi-dimensional aspects of democracy, and its criticality to wider issues of governance and development. He is British and a strong supporter of the European Union and its values.